Nigini Abilio Oliveira is a postdoctoral research at the University of Washington's Paul G. Allen School of Computer Science & Engineering. Working with Professor Katharina Reinecke, he is searching to improve the user experience - for both researchers and volunteers - in the context of large-scale, volunteer-based online studies. 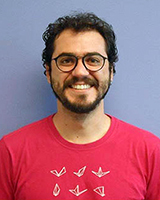 Nigini has a Ph.D. in Computer Science from the Universidade Federal de Campina Grande in Brazil, where he worked with Nazareno Andrade on designing social Question & Answer sites that are equally engaging across global audiences. His research interest is in the broad Human-Computer Interaction area focusing on online collaboration, cross-cultural studies, open science, and community design. Laura Arjona is a Research Associate in the Paul Allen School of Computer Science & Engineering at the University of Washington. She works in collaboration with Allen School and Electrical & Computer Engineering professor Joshua R. Smith and Rehabilitation Medicine professor Chet Moritz. 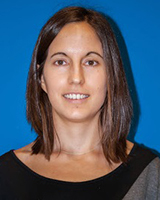 Laura’s research focuses on high performance readers and protocols for backscatter-based neural implants. Laura believes that neural implants have the potential for significant impact in medicine, from restoring the use of limbs after spinal cord injury, to “electroceutical” alternatives to drugs, to brain-computer interfaces. Laura holds a doctoral degree from the University of Deusto in Bilbao, Spain. She received a master’s degree from UNED University in Madrid, Spain, and a bachelor’s degree in Telecommunications Engineering from the University of Granada, Spain. Matt Barnes is a postdoctoral researcher in the Personal Robotics Lab with professor Sidd Srinivasa. He holds a Ph.D. in Robotics from Carnegie Mellon University, where he developed statistical estimators and scalable clustering algorithms for the CMU counter-human trafficking project. His research interests lie in machine learning, statistics, sequential decision making, imitation learning, and engineering these tools to empower and amplify humans. Matt has a M.S. from CMU, a B.S. from Penn State and is a former NSF Graduate Research Fellow. Tapomayukh "Tapo" Bhattacharjee is a postdoctoral research associate in Computer Science & Engineering at the University of Washington, working with Professor Siddhartha Srinivasa in the Personal Robotics Lab. He completed his Ph.D. in Robotics from Georgia Tech under the supervision of Professor Charlie Kemp. His primary research interests are in the fields of haptic perception, machine learning, manipulation and human-robot interaction. He believes in the potential of using multimodal haptic signals to enhance robot manipulation capabilities in unstructured environments as well as around humans. He aims to achieve this by inferring relevant properties of the world using physics-based and data-driven methods. 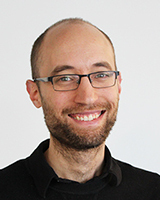 Yonatan Bisk is a postdoctoral research associate at the University of Washington working with Yejin Choi. His research is in the area of Natural Language Processing focusing on language grounding and weakly supervised learning. He works on teaching computers to understand language and the world by learning representations that link abstract language to low-level actions. He previously worked with Daniel Marcu at the Information Sciences Institute at USC, completed his Ph.D. with Julia Hockenamier at the University of Illinois at Urbana-Champaign in unsupervised grammar induction, and received his BS while working with Risto Miikkulainen at the University of Texas at Austin. Jan Buys is a postdoctoral research associate in Computer Science & Engineering at the University of Washington, working with professor Yejin Choi. His research interests lie in the intersection of Natural Language Processing and Machine Learning, with a focus on text generation and structured prediction models. He completed his Ph.D. at the University of Oxford under supervision of Prof. Phil Blunsom. Jan received a Master’s degree in Computer Science and undergraduate degrees in Computer Science and Mathematics at the University of Stellenbosch in South Africa. 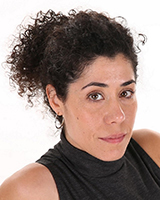 Maria Eugenia (“Maru”) Cabrera is a postdoctoral research associate in Computer Science & Engineering at the University of Washington, working with professor Maya Cakmak in the Human-Centered Robotics Lab. She completed her Ph.D. from Purdue University under the supervision of Professor Juan Wachs. Her research interests include human robot interaction (HRI) and multimodal interactions based on embodiment, including gestures. More specifically, she wishes to conduct research in naturalistic and novel approaches to include cognitive and physiological aspects of human performance in collaborative tasks with other robots or other humans, either co-located or remotely. 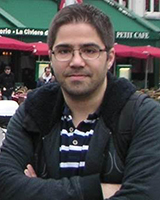 José Campos is a postdoctoral research associate in Computer Science & Engineering at the University of Washington, where he works with René Just. José completed his Ph.D. at the University of Sheffield in the United Kingdom under the supervision of Gordon Fraser, where he studied the applicability of evolutionary algorithms at automatically generating unit test cases for object-oriented software. Prior to that, José completed a Master's degree in Computer Science at the University of Porto in Portugal under the supervision of Rui Abreu. His primary research interests are in automated software debugging, automated software testing, and software vulnerability detection. Sanjiban Choudhury completed his Ph.D. in Robotics from Carnegie Mellon University, under the supervision of Prof. Sebastian Scherer. He is currently a postdoctoral researcher at University of Washington working with professor Siddhartha Srinivasa. 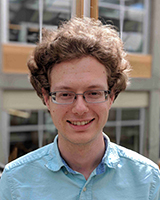 His research focus is on problems at the intersection of machine learning and motion planning. During his Ph.D., developed the motion planning architecture, that integrated learning and planning, for an autonomous full-scale helicopter. Sanjiban has a MS from CMU, a BTech and MTech from IIT Kharagpur. He has also worked at Microsoft Research as in intern on imitation learning for sequential decision-making. He is a Siebel Scholar, class of 2013. 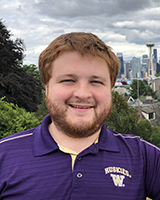 Kevin Deweese is a postdoctoral research associate at the University of Washington working with Professor Andrew Lumsdaine and other scientists at PNNL's Northwest Institute for Advanced Computing. He recently completed his Ph.D. at the University of California, Santa Barbara under the direction of Professor John Gilbert, where he studied theoretically fast Laplacian solvers, a topic at the intersection of graph theory and linear algebra. He currently works with physicists at C-SWARM, a large materials modeling collaboration at the University of Notre Dame. He also remains involved in the GraphBLAS community, which aims to develop a common API for large scale graph algorithms. Yu Feng is a postdoctoral research associate in Computer Science & Engineering at the University of Washington, working with Professor Ras Bodik in the PLSE Lab. 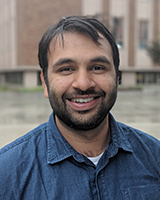 He will be joining the computer science department at UCSB as an assistant professor in Fall 2019. Previously, He received his Ph.D. at UT Austin under the supervision of Prof. Isil Dillig. 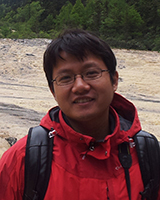 Yu's research interests include programming languages, program analysis and verification, program synthesis, and security. More specifically, he wants to build automated tools to guarantee the desired behavior of a system in a sound, precise and scalable way. He is also interested in applying program synthesis/analysis to build and break systems, tackling security and performance problems in mobile devices and blockchain. Earlence Fernandes is a research associate in Computer Science & Engineering where he works with professors Tadayoshi Kohno, Franziska Roesner, and the UW Security & Privacy Research Lab. He received his Ph.D. from the University of Michigan in 2017, where he was advised by professor Atul Prakash. Earlence's thesis focused on secure design techniques for Internet of Things software platforms. His work at the University of Washington delves deeper into the security and privacy issues of Internet of Things platforms and Cyber-Physical systems in general. He is also interested in the security of machine learning when applied to the control of physical objects such as cars and robots. Kameron Decker Harris is a postdoctoral research associate in Computer Science & Engineering at the University of Washington. He is analyzing human brain electrocorticography recordings in the labs of Allen School professor Rajesh Rao and Biology professor Bingni Brunton. His interests are in computational and theoretical neuroscience, in particular networks, dynamical systems, and data analysis. He earned his Ph.D. in Applied Mathematics from the University of Washington under Eric Shea-Brown. 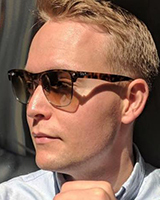 Prior to that, Kameron studied bus traffic optimization as a Fulbright Scholar in Chile, and his undergraduate and masters work at the University of Vermont included sentiment analysis of large-scale Twitter data. 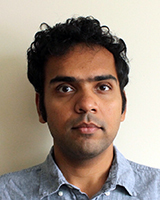 Lalit K. Jain is a postdoctoral researcher working with Kevin Jamieson. His research is focused on the theory and implementation of machine learning algorithms for large-scale data collection with an emphasis on "human in the loop" and crowdsourcing applications. His work has been applied to a variety of applications including optimizing crowdfunding and microlending platforms, measuring conceptual perception in cognitive psychology, and detecting humor. Prior to coming to the University of Washington, he did a postdoc at the University of Michigan and earned his Ph.D. in Mathematics at the University of Wisconsin-Madison advised by professors Jordan Ellenberg and Robert Nowak. Batya Kenig is a postdoctoral researcher in the Paul G. Allen School of Computer Science and Engineering at the University of Washington in Seattle, working with Dan Suciu. Her research interests lie at the intersection of data management and AI and include probabilistic inference, preference analysis, and enumeration algorithms. She completed her Ph.D. in Information Systems Engineering at the Technion, and her M.Sc. in Computer Science is from the Open University in Israel. 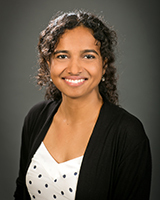 Ramya Korlakai Vinayak is a postdoctoral researcher in Paul G. Allen School of Computer Science and Engineering at the University of Washington in Seattle, working with Sham Kakade. Her research interests broadly span the areas of machine learning, crowdsourcing and optimization. Ramya completed her Ph.D. at Caltech where she worked with Babak Hassibi. She received her B.Tech from the Indian Institute of Technology Madras. Shrirang Mare is a postdoctoral researcher in the Department of Computer Science and Engineering at the University of Washington where he works with Richard Anderson, Yoshi Kohno, and Franziska Roesner. His research is focused on improving the security and usability of digital financial services in developing regions. 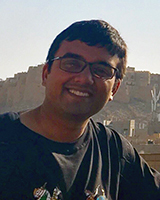 Shrirang received his Ph.D. in 2016 from the Dartmouth College, where he worked with David Kotz on usable user authentication methods for personal devices. He earned his Bachelor's from Birla Institute of Technology and Science (BITS) in Pilani, India. Jungseul Ok is a research associate in Paul G. Allen School of Computer Science & Engineering, University of Washington, WA, US, where he works with professor Sewoong Oh. He completed his Ph.D. in the School of Electrical Engineering at Korea Advanced Institute of Science and Technology (KAIST), South Korea, under the supervision of professors Yung Yi and Jinwoo Shin. After graduation, he also worked with Alexandre Proutiere as a postdoctoral researcher in the School of Electrical Engineering at KTH, Sweden. His research focus is understanding and improving practical systems based on theoretical model and analysis, where the systems of particular interest associate with graphical representations, e.g., Markov decision process, wireless network, social network, and crowdsourcing system. Dustin Richmond is a postdoctoral research associate in the Paul Allen School for Computer Science & Engineering at the University of Washington. 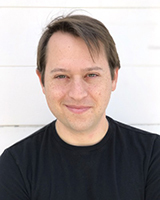 He is working with Michael Taylor, Luis Ceze, and Mark Oskin developing hardware architectures that can be dynamically optimized by software runtimes, building scalable hardware accelerators for cloud services, and studying agile hardware development methodologies. Dustin also has active projects on information side-channels in reconfigurable hardware devices. 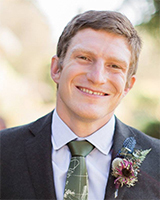 He received his Ph.D. in 2018 from the University of California San Diego under the tutelage of Ryan Kastner and received his undergraduate degrees from the University of Washington. Babak Salimi is a postdoctoral research associate in Computer Science & Engineering at the University of Washington, Seattle, where he works with Dan Suciu and the Database Group. He received his Ph.D. from the School of Computer Science at Carleton University in Ottawa, Canada, and his M.Sc. in Computation Theory (2009) and B.Sc. in Computer Engineering (2006) from Sharif University of Technology and Azad University of Mashahd, respectively. 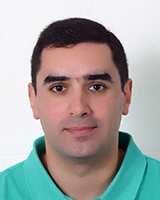 Babak's research interests cover Knowledge Representation and Reasoning, Database Theory, Causality Theory, Statistical Inference and Data Analysis. Specifically, he would like to explore notion of causality and explanation in data exploration. In particular, the intention is to adapt methods from statistical inference to the task of explaining phenomena in databases. His Ph.D. research, advised by Professor Leopoldo Bertossi, focused on causality and reverse data management problems. Roy Schwartz is a postdoctoral researcher at University of Washington Computer Science & Engineering and the Allen Institute for Artificial Intelligence, working with Noah Smith and Oren Etzioni. His main research area is building computational models that can "understand" text scenes. Roy completed his Ph.D. at the School of Computer Science and Engineering of The Hebrew University of Jerusalem, where he worked with Professor Ari Rappoport. He completed his Master's degree in computer science and his B.Sc. in computer science and cognitive science at The Hebrew University of Jerusalem. 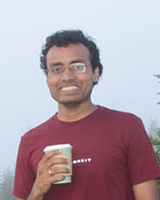 Soumyadip Sengupta is a postdoctoral research associate in Computer Science & Engineering at the University of Washington. He is a part of UW Reality Lab and GRAIL, working with professors Brian Curless, Ira Kemelmacher-Shlizerman and Steve Seitz. His research interest lies at the intersection of Computer Vision, Computer Graphics and Machine Learning. His research deals with the problem of Inverse Graphics/Rendering, i.e. recovering the underlying geometry, reflectance and illumination properties of a scene from image(s) or video. 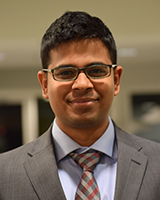 He completed his Ph.D. from University of Maryland, College Park (2019) under the supervision of Prof. David Jacobs and Bachelor of Engineering (2013) from Jadavpur University, India. Spencer Sevilla is a postdoctoral researcher in Computer Science and Engineering at the University of Washington, where he works with Kurtis Heimerl and the ICTD Lab. His research is focused on improving internet access in remote and disconnected parts of the world, with a current focus on rural and indigenous cellular networks. Spencer received his Ph.D. in 2017 from the University of California at Santa Cruz, where he was advised by J.J. Garcia-Luna-Aceves. 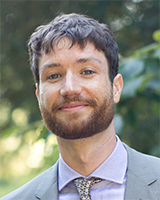 Jesse Thomason is a postdoctoral researcher working with Luke Zettlemoyer at the University of Washington. His research interests are primarily in semantic understanding and language grounding. Thomason received his Ph.D. from the University of Texas at Austin, working with Ray Mooney at the intersection of natural language processing and robotics. He developed algorithms that bootstrap robot understanding from interaction with humans, improving language understanding and perceptual grounding for embodied robots. 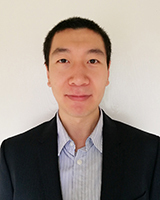 Chun Zhao is a postdoctoral research associate in Computer Science & Engineering at the University of Washington, working with Professor Michael Taylor in the Bespoke Silicon Group. His primary research interests are in the fields of computer architecture, digital integrated circuits, system on chip and embedded systems. His current research focuses on RISC-V based open source microprocessors and peripheral interfaces, with an emphasis on the design and implementation of memory controller and PHY IPs. Chun received his Ph.D. in Electrical Engineering from University of Chinese Academy of Sciences. He received his B.E. from Harbin Institute of Technology.